Indian Railways and my family have an eternal connection. My grandfather, father, uncles and aunts have all proudly served in the Indian Railways. In fact my dad’s marriage proposal was accepted only because he had a permanent job in the Railways! He finally retired after 40 years without any job switch. Today I have almost zero connection with Railways but whenever I see a Railway station or a Railway colony or happen to hear the whistle of a train, I am instantly transported back to my childhood. 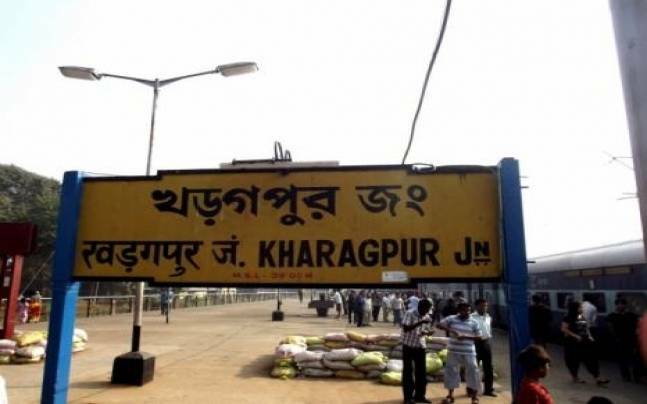 I was born in Kharagpur, which has the third longest platform in the world and is often termed as gateway to South Eastern Railway. My father joined South Eastern Railways after completing ITI, got married to my mother and in a few years I popped out. By the time I started registering things in my brain, my family had shifted to Haldia, a small industrial port town built to take away the load of the Kolkata port. Our colony was located right next to the Railway station. I remember seeing the train every evening from the rear kitchen window. The early morning whistle served as an alarm for most of our society. The evening whistle was the indication that my father is on his way home, after a long day at work. When I look back at the days of growing up, they still live with me. Loving Mithun da’s disco numbers, relishing fish curry more than sambar. I am a Madrasi with the heart of a Bengali. In all these stories, travelling with the Railways has left sweet and lasting memories. Whether it be going to Kharagpur to meet my cousins during Durga Puja or travelling to the extreme west, Vadodara once every year to meet the other side of the family. Going to Kharagpur was fun in the EMU locals. Catching the early morning first local, the desire to have all kinds of snacks, watching the green rice fields, fishermen trying their luck and the competing parallel tracks while wondering which track is faster. Over the years we’ve made so many trips, every time it was special, even though it was the same route. But travelling to Vadodara was a big deal, 2 nights and 3 days travel in sleeper compartments wasn’t always exciting especially in summers. In those days, trains had no pantry cars, so one had to carry food or buy on the way. My father made sure that we got good food from big junctions. The two things I disliked were the bathrooms and the peculiar taste of water across different states. Travelling to Vadodara called for strong nerves, as the train crossed 5 states at its own pace, and hardly reached on time! Time passed very fast and we slowly started losing connect with Indian Railways. Everything vanished with time, I grew up, left Haldia for better prospects and the memories started getting hazy. But all of a sudden everything came back when last winter we planned our much needed yearly vacation. The last time we went on a vacation was four years ago: our honeymoon to Coorg, the Scotland of India. This time we said yes to Varanasi – the spiritual capital of India. Over the years I have heard and read a lot about the city, which was earlier called Kashi. Hindus go to the holy city for spiritual reasons but we decided to spend more time on its ghats and local food joints. Varun Grover’s food guide was really helpful to plan our food trips. After failing to get train and Domestic Airlines tickets from Pune, Mumbai was the best option. So, that’s where we headed and boarded the Varanasi Express starting from Lokmanya Tilak Terminus in Kurla, Mumbai and going straight to Varanasi Junction – a 27-hour journey across the two states of Maharashtra and Uttar Pradesh. The train journey was smooth and memorable because of the food we had during our journey. Wada, samosa, bhajiya, idli-wada, jalebi, kachori and more. And how can one forget the assortment of teas, Indian Railways is never short of tea. Every station has its own tea and story to be told. But I hardly had any chai pe charcha with my fellow passengers, as I was busy with Vinod Mehta’s Lucknow Boy. However, my co-passengers were busy reading newspapers, magazines while discussing food, state politics and new business ideas. The journey also stands out because of the hygiene efforts by the Railway staff. I was surprised to find water in the toilets all throughout the journey, at major junctions they were properly cleaned and disinfected. The floors were mopped all through the day and berths were clean and also smelt fresh. After sunset, mosquito repellents were sprayed at the corners. Trust me I haven’t seen so much earnest efforts for regular trains. This surely created a big difference! Our train reached Varnasi, sharp 4 in the morning. After waiting two hours in the waiting room, we dragged our tired frozen bodies out at 6:00 am to the 10-degree cold city. We managed to get a decent bargain with the auto-rickshaw guy to our guesthouse – the Yoga House near Assi Ghat, facing the Ganga. From here on the Varanasi journey began, one that has been a lifetime travel for us. But the train journey made the start with a happy note. Throughout the journey, my mind kept flashing all the childhood memories of our train journeys. I know I can’t relive them but with these train journeys, I can at least make an attempt to keep them fresh.